cinemas and in video rental sales. My father would always watch his movies when they came on the TV except for one… Silent Rage. 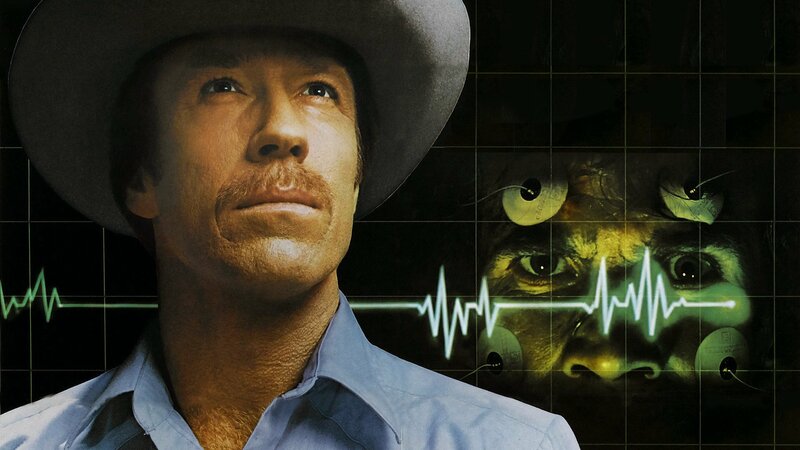 To him it wasn’t a Chuck Norris movie to him due to the sci-fi/horror elements it had and not enough Kung Fu action. When I was able to start renting movies on my own, I noticed this title in the horror section one day and gave it a whirl. I was not disappointed and it remains one of my favorite hybrid movies to this day. When I heard that Mill Creek Entertainment was releasing this on Blu-ray, I was jumping for joy since the last time I watched it was 20+ years ago on a well worn VHS tape. The first thing I made note of was the picture quality… it is near perfect with no wear or tear. The audio track was crisp and clear with no dropouts. Kudos to them for bringing this cult film back for a new generation to discover. The movie itself as I stated earlier is a mixture sci-fi, slasher style horror, and Kung Fu action. 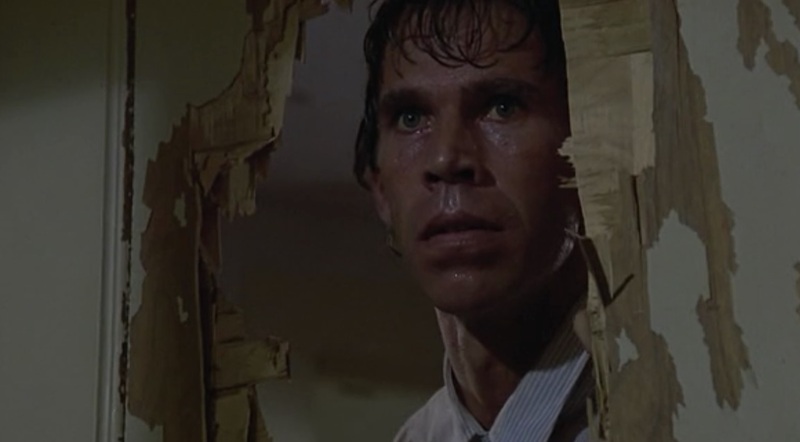 The basic premise of the film has Chuck as a small town sheriff who has to deal with a psycho who was brought back from the dead by some scientist who inject him with a serum that makes him superhuman. He goes on a killing spree and the fun part of the movie is seeing how Chuck deals with the problem along with a biker gang that rolls into town looking for trouble, a love affair with an ex of his and a comic relief deputy who is pondering a career change. their performances. There are also some fleeting moments of humor that doesn’t take away from it at all. The kills aren’t very graphic and the body count is low, so even the non-gorehound who watches will leave happy. I know I am happier and happier with every re-watch.